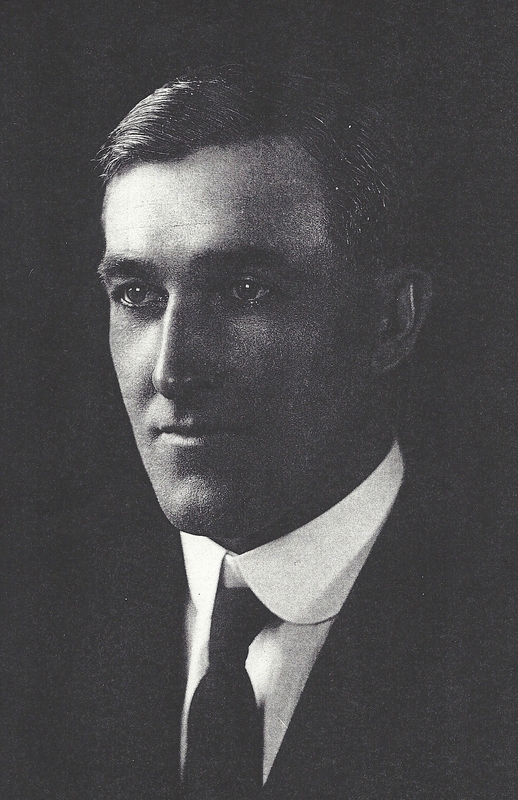 John McCONNELL was born on 17 January 1885 at Carcluie Cottage, Ayrshire, Scotland to John McCONNELL, a gamekeeper and his wife Isabella WATSON. John’s name followed the Scottish naming tradition of the first son being named after the father’s father – in this case John McCONNELL. Photo left: John, summer of 1895 [see post 16 April 2013 for family group photo]. Photo is from the collection of Mary Smith (in Tennessee). May Wood in Ayrshire, Scotland also has a copy of this photograph. John’s life was likely normal for that period; he grew up in an ever expanding family. By the time of the 1891 census, John, 6 was a ‘scholar’ [attended school] and had three younger siblings as well as his older sister Mary. His grandmother Mary HUNTER also lived with them, perhaps John became close to his grandmother? By 1901, John now 16, had completed school and became an ‘apprentice joiner’ [carpenter]. John likely still lived at home, and walked from Carcluie Cottage to work in Ayr each day. A family story indicates that he worked as a ship’s carpenter. Ayr, a seaport town with a large active fishing fleet, would have certainly offered that type of work and training. John would have contributed a larger portion of his meager apprentice pay to his parents to help support the large McConnell family. 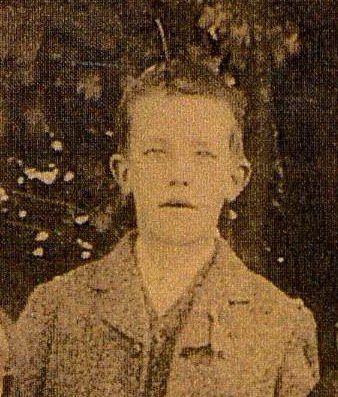 John’s youngest brother William was born in 1902. Shortly after that date John’s apprentice take-home pay became even more important when his father lost his position as gamekeeper. The loss of this life long position occurred sometime between William’s birth in 1902 and 1904; the reasons for this job loss are unknown, although it seems certain that it was not a voluntary decision as his father would not willingly give up the steady job required to support his large family. The family was forced to leave Carcluie Cottage where John had been born and had lived his all his life. The family moved to Ayr to inexpensive rented accommodation, a move that certainly would have been considered a ‘step down’ and signal a reversal in fortune for the McConnell family. John’s mother Isabella, still nursing John’s young brother William, was also likely ill at the time, adding an extra burden of worry and gloom to the family’s situation. By June of 1904 John’s father had found work as an auctioneer’s assistant – a far cry from his position as gamekeeper. John’s mother was seriously ill and went for surgery at the Western Infirmary (Hospital) in Glasgow. On 11 June, John’s world dramatically changed with the sudden and unexpected death of his mother as a result of her surgery. John (19) likely continued with his work as a joiner, which contributed to the family income that his father brought home. John’s elder sister Mary (a dressmaker, aged 21) likely took on much of the care of the younger children, while his brother Thomas (17) continued his work as a clerk. John’s three younger sisters – Janet (15), Isabella (13) and Elizabeth (9) – still attended school, while his youngest sibling William, was only two years old. The motherless McConnell family also had help from extended family: John’s grandmother Mary Hunter; and his mother’s sister Janet and her husband Gilbert SPEIRS; and his mother’s brother Thomas WATSON and his wife Jane MUIR. John, his father and John’s six siblings were forced to cope with this new life reality. Now, perhaps for the first time, John became ever more serious about his future career as a joiner – now not only did he have to support himself and any future family he might have, but he would also need to financially support help his father and siblings. Perhaps it was at this time that John began to think of emigrating for better work opportunities. Unfortunately the bleak McConnell family situation worsened. John’s younger brother Thomas became ill with consumption [tuberculosis]. He may have already been ill at the time of his mother’s death, certainly he was ill shortly after it as his death registration indicates he was ill for “some months”. During this time there would have been increasing the worry for a family member’s health as well as an additional financial burden on John and his father as Thomas would not have been able to continue his work as a railway clerk. On 1 October 1905 – little more than a year after the death of his mother – Thomas, 18, died of consumption. His death occurred at Byolu (sp?) Street in Ayr, the family’s home after leaving Carlcuie Cottage. Normally Thomas’ father would have made the trip to the Registrar’s Office to register the death. However, in this case the sad journey was made by John, then 20. It is easy to imagine that his grief strickened father, still mourning the death of his wife, could not manage the task. About this time the extended McConnell-Watson-Speirs family began to seriously consider options for their future. Emigrants were leaving Scotland for Australia, Africa and other international destinations. North American beckoned our family. The first to move, in June 1906, was a Watson cousin, 17 year old James (Jim) Muir WATSON. After he arrived in Montreal, Jim went to Manitoba where he worked as a farm labourer to save up money to buy his own land. His reports home to Scotland – likely by postcard – no doubt encouraged others to follow. Three years went by until other family members did so. During that time, a family story is told that John worked as a carpenter on board transatlantic ships out of Scotland (Ayr? Glasgow?) If he did so he may have made several trips to the United States. Whatever the circumstances, by June of 1909 John had decided that the New York area was the place for him; he perhaps saw the potential for work as a carpenter, without having to spend months at sea. This same family story also tells that John had been aided by his captain to ‘jump ship’ in America. While this is a romantic scenario, his entry into New York was formal and not furtive. ‘UK Outward Bound Passenger lists, 1890-1960’ document John’s departure, as a passenger, from Glasgow on 12 June 1909. He was on the Anchor Line’s ship S.S. Caledonia, destination New York. Ellis Island immigration records document his entry into the Port of New York on 21 June 1909. On the ‘List or Manifest of Alien Passengers for the United States Immigration Officer at Port of Arrival’ John is listed as a 24 year old carpenter, last permanent address Ayr, Scotland; his nearest relative is listed as J. McConnell [his father John McConnell] of Straud Cottage, Girvan, [Ayrshire, Scotland]. The Manifest also tells us that John was 5′ 11″ tall, of dark complexion, dark hair and blue eyes. We also learn that he paid for his passage himself, and that he had less than $50 with him. When asked ‘Whether in possession of $50, and if less, how much?‘ John indicated that he had $30. A month later, in July the exodus of the extended McConnell-Watson-Speirs family continued when John’s cousin William (Bill) Watson Muir WATSON, 17 years old, sailed for Canada where, like his brother Bill, he worked on a Manitoba farm as a farm labourer earning money for land purchase. By 1913 all members of the three related families were in North America with the exception of John’s two older sisters Mary and Janet. In 1914 John, 29 years old, became an naturalized American citizen, at the Essex County Court in Newark, New Jersey. We learn this from the U. S. Ellis Island Records which record a trip that John took from Bermuda in 1924 [see note below]. John married about 1917. This can be deduced from the January 13, 1920 U.S. census in which John, widower, 34 years old, occupation: ‘carpenter, house’, lived with his father-in-law Alexander McHENRY and his family, at 579 Valley Road, West Orange, New Jersey, U.S.A. With John was his 1 1/2 year old daughter Mary McHENRY. A photograph exists of John’s wife Mary McHENRY and John, perhaps taken at the time of their marriage. Although documentary evidence still has not yet been located, it seems likely that John and Mary married in New Jersey, their daughter Mary was probably born in 1918. John’s wife Mary died between 1918 and the time of the census in January 1920. In 1924 John still lived with his McHenry in-laws; we learn this from Ellis Island records which record a trip he took from Hamilton, Bermuda to New York. From these records we learn that on 24 April 1924 when he was 39 years old and single, John, from 579 Valley Road, West Orange, New Jersey, sailed from Hamilton, Bermuda to New York on the S.S. Fort St. George. [No record has been found of when he travelled to Bermuda]. On this manifest he is listed with other ‘United States Citizens’ and we learn that he became a naturalized citizen in 1914 at the Essex County Court in Newark, New Jersey. The address at 579 Valley Road cross checks with the 1920 census records and confirms that this is the correct John. The Naturalization records have not yet been checked. Between the 1924 trip from Bermuda and the time of the 1930 census, John married Alice BLAIR, a widow. This is deduced from the 2 April 1930 U. S. census in which John, 44 years old, occupation: ‘working contractor, general building’ lived at #77 – Cobave [?] Terrace, West Orange, New Jersey, U.S.A. John’s daughter Mary, 12, born in New Jersey, also lived there. The census also tells us that Alice, who was born in Ohio about 1889, was a widow as her son, Robert BLAIR, 17, also lived at the address. John’s income is given as $16,000 – a significant income for the period. On 5 November 1964 John, 79 years old, died the Memorial Hospital in Orange, Essax Counbty New Jersey. His usual residence was 234 Eagle Rock Avenue, West Orange, New Jersey, U.S.A., occupation was given as ‘contractor’. The informant was ‘Mrs. 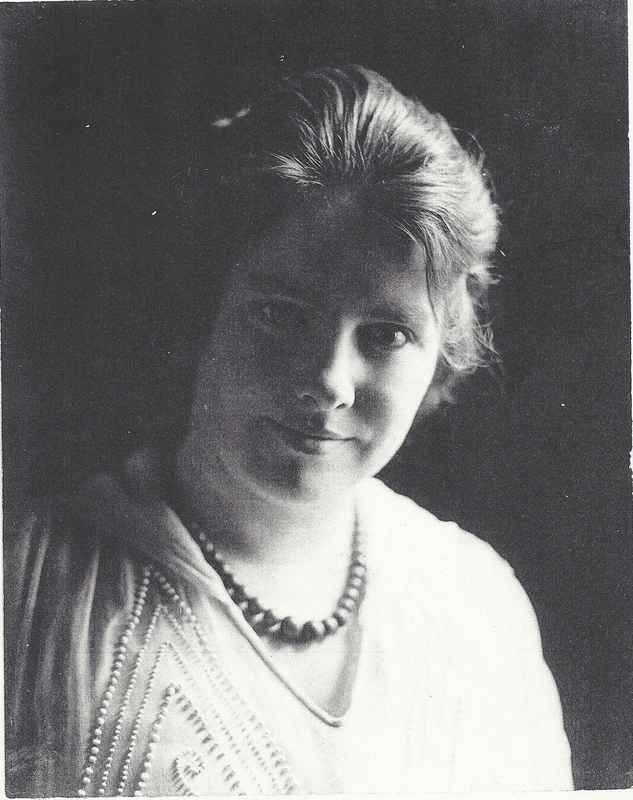 J. McConnell’ of the same address as the deceased – no indication if this was the former Alice Blair.